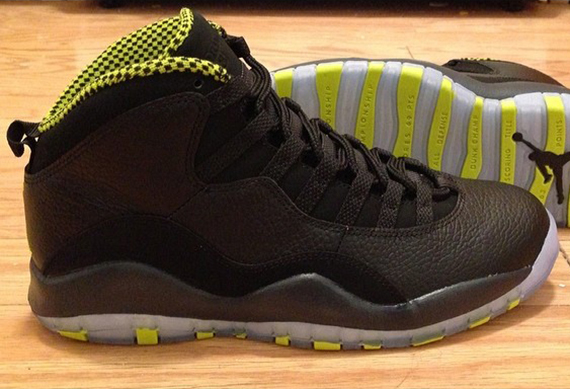 You didn’t forget about the Jordan 10 “Venom Green”, did you? The sneakers are the next up Air Jordan 10 on the schedule and actually look a little different than that early rendering that was first presented. The final retail version of the shoe features an icy touch across the bottoms, where as the aforementioned catalog shots had it looking more solid. See the sole in detail with us after the break, complete with those career accomplishments of MJ’s listed, and tell us if you’ll be grabbing a pair on their March 22nd release date.